Community Leaders Breakfast Archives - HGR Inc. 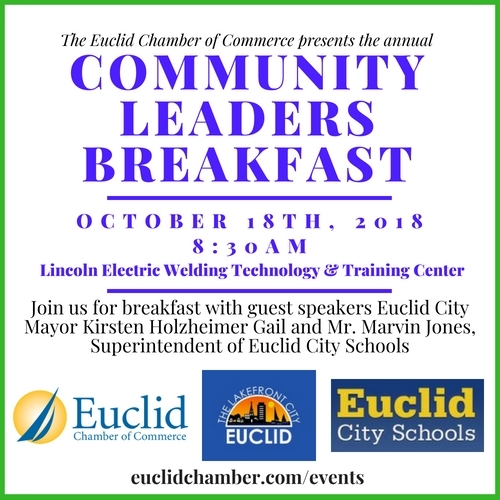 The Euclid Chamber of Commerce presents the Annual Community Leaders Breakfast, featuring speakers Euclid City Mayor Kirsten Holzheimer Gail and new Euclid Schools Superintendent Marvin Jones. Enjoy breakfast in the Lincoln Electric Welding Technology & Training Center, the newly constructed 130,000-square-foot, state-of-the-art facility dedicated to training educators, industry leaders and skilled trade workers in the craft and science of welding.